Step out in the femme fatale style of these Vince Camuto® Korikanta booties. Vince Camuto is a true footwear innovator, both of design and of industry. 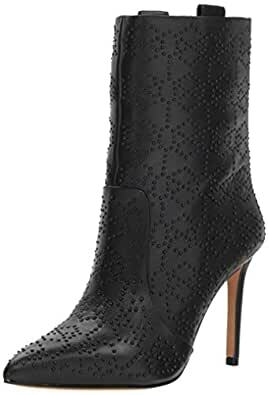 The designer and creator of the Camuto group, Vince Camuto produces many brands and styles, and Vince Camuto women’s shoes are among the most beautiful and finely crafted footwear available.